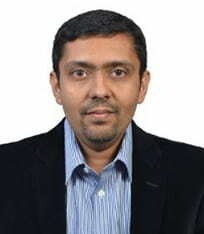 Raghavshyam (Shaam) Ramamurthy is a data visualization consultant with 15 years of experience across the globe. He worked in the US for 10 years across a variety of industries like manufacturing, chemical processing, and utilities. He consults on Visual analytics, KPI management, Dashboard development and Product development. He has a strong passion for teaching and visits IIT-Madras, IIM-Trichy, IIM-Ranchi, Great Lakes Institute of Management and SP Jain School of Global Management.